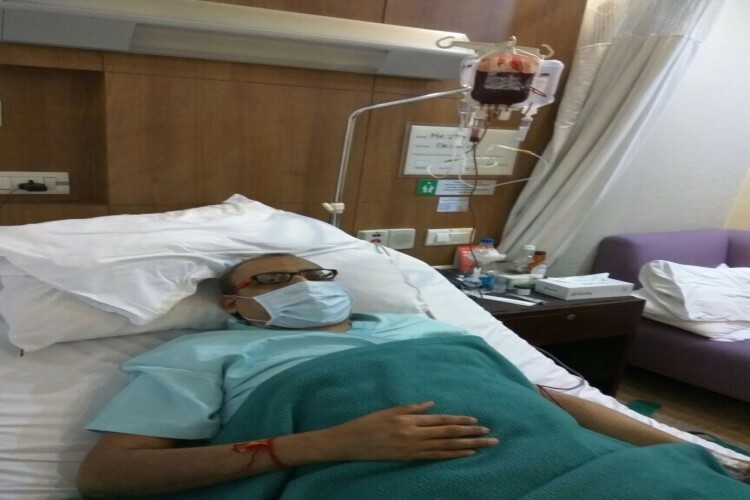 Help my childhood friend Vikas Monga fight Blood cancer. This is the story of my Friend. Life was going on very smoothly for me. I have a secured job, a caring mother, a loving wife, and an angel daughter. We all were very happy with our life and we're enjoying each and every moment with our limited resources and we're still content with whatever we have. My life has been like a roller coaster ride. I lost my father when I was just six years old. My mother worked very hard to support a living for the family and we got good and decent support from my ageing maternal grand parents. Although we couldn't afford a luxurious life style but we were always taught to thank God for whatever he has blessed us with. I graduated and started working at an early age and took the burden of the family and soon became the sole bread earner for the family. I couldn't pursue higher/professional education as I was hardly left with any time for studies after tiring and long working hours. But still I was very happy with my life and always thanked god for making me self dependent. I got married at the age of 35. I got a feeling of belongingness and soon we were blessed with a baby girl. The aim and priorities of life changed and now my soul aim was to work more and more harder to ensure a bright future and a good life style for our sweet little daughter. I don't want that she should be deprived of any necessities/ luxuries, which I could not get in my childhood. Everything was working very fine. Our little angel turned 3 yrs. Although I enjoyed very good health during all these years but suddenly I started witnessing a drop in my weight. Initially I enjoyed this weight drop as any man who weighs 100 kg would love if the body automatically shreds 5-8 kgs. But it didn't stopped at just that, the weight loss didn't stopped and I lost around 20 kgs in just 3 months. I started visiting many specialists in different city hospitals. They made me went through many tests and investigations including many blood investigations, x-rays, ultrasounds, dexa scan, spinal CT scan and MRI, CT scan of brain, Endoscopy, MRCT of Liver, Colonoscopy, Fibroscan, EEG & MRI of brain, ECG and ECHO and finally the PET CT (cancer scanning test). Nothing significant came out in these investigations. But the weight loss continued and I lost 42 kgs in a period of 5 months. My weight reduced to 58 kgs. I became thin, pale, week and could hardly carry myself. I lost appetite. A lot of money was spent on all these investigations and I lost the ability and desire to work. Finally the doctors at a famous city hospital advised me to go for Bone Marrow test and Bone Marrow Autopsy. This is when my life changed. The report came as a biggest shock to me and my immediate family. I was diagnosed with BLOOD CANCER (Accute Lymphoblastic Leukemia). Just to get the second opinion my friends advised me to get the test done again from a different hospital. I kept my fingers crossed to hear a different news but the result was same again. I couldn't believe what has happened to me. Everything in front of me, went blank..... I could see that I was approaching towards death. My daughter's innocent face was in front of me, my eyes filled with tears. Soon she might loose her father that too just at the age of 3 yrs. How she would adjust to this loss, how she will face the hardships of life. Her childhood would also be deprived of so many good things as was mine. I couldn't sleep for two nights and kept on weeping. I couldn't get the answer.... Why god has done to me.... WHY ME, WHY ME ??? As per the doctors, the treatment should be started immediately as my condition was deteriorating day by day. The treatment was a very costly affair, something beyond my medical insurance and my families savings. And the survival chances were 60-65%. To me it was a new ray of hope. It was like seeing sunlight amongst the darkest clouds. I was hospitalized. The treatment started, my doctors gave me good hope, my family and friends stood by me. And whenever I was emotionally down and started crying, my daughter use to tell me over phone "dad, please don't cry, I'm praying for you, nothing will happen to you and you will be fine soon." This use to give me a lot of strength. I pledged, that I have to live, for my daughter, my loving wife, my ageing mother. I will fight hard and I'll defeat this deadly disease. I assertained that 4 factors are very important for me to fight and defeat this disease, (a) medicines and chemo sessions, (b) strong will power and desire to live, (c) God's blessings and, (d) prayers of my well wishers. I had to be mentally strong to fight and fight hard. Same phases of the treatment were very bad. Strong chemo adversely affected my liver. I had a terrible jaundice attack. I was moved to ICU. I was loosing control over my mind and body. My condition deteriorated towards worst. The doctors were loosing hope and asked my family to prepare themselves for any bad news. Even in this worst situation, my faith in my god and my daughter's words that she is praying for me, kept me alive. My body and mind started responding to the treatment. I showed signs of improvement. After around 15 days I was moved out of the ICU. But since the treatment and prolonged hospitalization was too expensive, soon all our savings were exhausted. My friends came forward and helped me with whatever they can but still that didn't last long. We were getting financially over burdened. We had to borrow funds to continue the expensive treatment. Soon we were under debt. By the end of Dec 2016, I got better and in the bone marrow Autopsy report it was found that the disease had gone. However, hardly 2 months later, that is in Feb 2017, the cancer attacked back / relapsed. And the only option now left is to go for a bone marrow transplant which is going to cost nearly Indian Rupees 20 lacks. But I want to live, live for my little angel and my family. I want to join back my office and my daily routine at the earliest. I want God's blessings. Request you all to help me to carry on and continue with my treatment and to win my battle for life against this deadly disease. 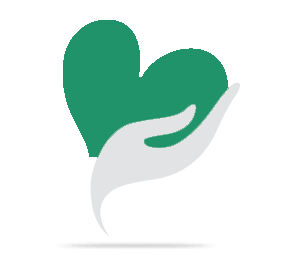 Your small contribution will help me ease my financial stress. Your share could be as good as a donation for Vikas Monga.! Not everyone can afford to take care of their loved ones. Vikas Monga. 's life can only be saved by donations made by kind people like you.